At Origins Massage and Bodyworks, our massage therapists and estheticians are individually hand- picked for their knowledge and professionalism to ensure you have the best experience and results. We are all about helping people have a healthier life. We specialize in Eminence Organic facials, and a variety of massages modalities including Swedish, Deep Tissue, Hot Stones, Prenatal, Sports and couples massages. We also offer full waxing services. Each therapist and esthetician is licensed by the State of California and insured. While becoming a certified makeup artist, Sierra wanted to learn about keeping her skin looking young and healthy. Soon after, her eyes opened to the world of skincare. “Having a client come in and take that sigh of relief that I will take care of them, is everything to me” Sierra says. She enjoys helping clients of all ages who suffer with acne. Skilled Massage Modalities: Swedish, Deep Tissue, Sport, Prenatal, and Trigger Points. Amber graduated from National Holistic Institute with 1350 hours including Advanced Neuromuscular Therapy training. Her goal is to help her clients relax, while they enjoy a therapeutic massage. Skilled Massage Modalities: Swedish, Deep Tissue, Sport, Hot Stones. Annette graduated from Charter College and has been practicing Swedish, Sport, and Deep Tissue massage since June 2014. She enjoys helping others relax, release stress, tension, and improve range of motion. Skilled Massage Modalities: Swedish, Deep Tissue, Prenatal, Hot Stones. Crystal has worked for Origins Massage and Bodyworks since 2014 and has built a great following during her time here. She enjoys performing Swedish massages and incorporates Deep Tissue in areas when needed. Skilled Massage Modalities: Swedish, Deep Tissue, Sport, Hot Stones. Hernane graduated with honors from Everest College with a 4.0. For the past years he has worked as the lead therapist at the US Open of Surfing in Huntington Beach. Skilled Massage Modalities: Swedish, Deep Tissue, Sport, Prenatal, Trigger Points, Hot Stones. Graduated with Honors from Everest College in 2015. Jackie enjoys helping people and making them feel better when they come to see her. Jackie’s massage goal is to help her clients relax, as she eases their pain and reduces their stress. Skilled Massage Modalities: Swedish, Prenatal, Deep Tissue, Sport, Lymphatic Drainage, Hot Stones. Joseph considers himself a lifetime learner taking great interest in the human body, the central nervous system, the endocrine system & their corresponding effects on one another.. Skilled Massage Modalities: Swedish, Deep Tissue, Sport, Prenatal, Shiatsu, Trigger Points, and Hot Stones. Mitchell graduated in 2013 from the National Holistic Institute. He believes in the therapeutic benefits of massage in helping prevent injuries and improving alignments. He is currently studying to become a medical doctor. 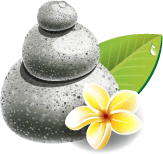 Skilled Massage Modalities: Swedish, Prenatal, Hot Stones. Mona decided to become a massage therapist because of her passion for helping others feel good about themselves. Her favorite modality is a relaxation massage as she believes that touch is very powerful to the body. Skilled Massage Modalities: Swedish, Deep Tissue, Sport, Prenatal, Trigger Points, Hot Stones. Taylor graduated in 2013, in Arizona. She prides herself on her cheerful nature, and loves to help every client unwind from their stresses. She does more than just relax her clients for a short time, she creates a plan with continued care for lasting relief. Skilled Massage Modalities: Swedish, Deep Tissue, Prenatal, Sport, Trigger Point, Hot Stones. Veronica graduated in 2002 from Mesa Institute with 1,000 hours under her belt. She enjoys working with people to help them improve their overall well-being. Feel free to contact us to book your next appointment. Please note we have a same day cancellation policy if you cancel your appointment with less than 24 hour notice.